For those who want to know, here's the Wikipedia definition of an interrobang. I love this comic. Yep. And I think Michael has a crush on Eliza. Yep. 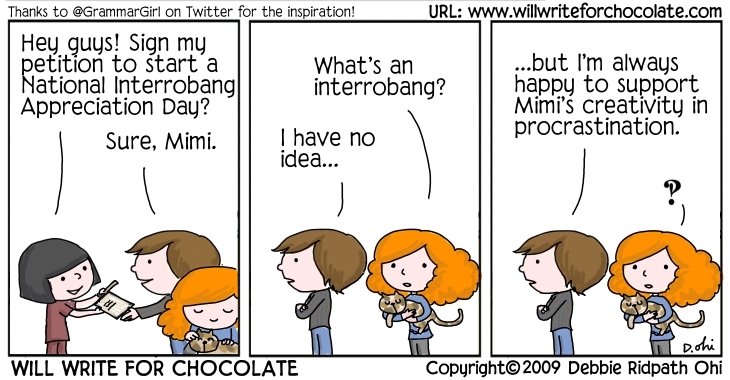 I did a whole journal entry about the interrobang several years ago. Nice to see it here. Hey... where is his beard?